The route starts at The Diefenbunker – 3911 Carp Road and follows Carp Road, turning left onto Donald B. Munro, left onto Langstaff Drive, left on Juanita Avenue and right on Carp Road, finishing at the Diefenbunker. Road Closures will be in effect. Pictures with Santa Claus will be available following the parade, at the Carp Commons Presentation Centre. Click Here for more details. If you would like to participate in the parade, please fill out the Parade Registration Form below. 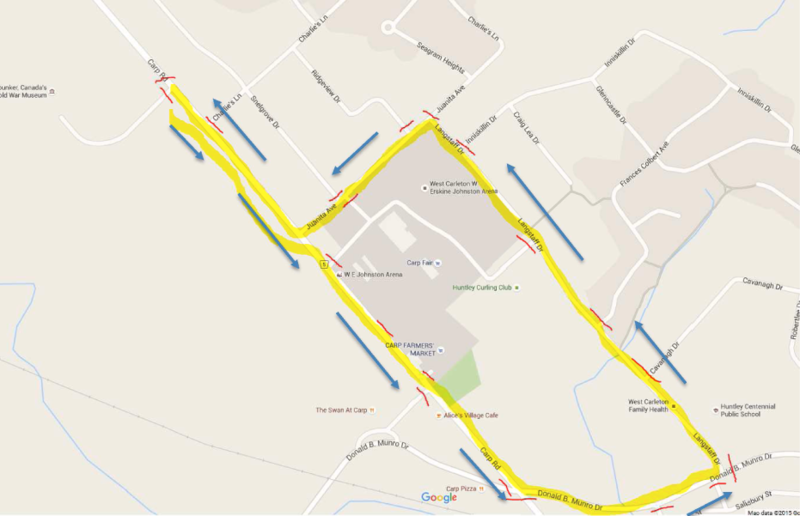 Here is the parade route. Road closures will be in effect from about 12:00 noon until 1:30pm.